THE FIRST COMIC BOOK OF ITS KIND! founded by Illustrator Erik Carrillo. Puneet Antaal and (15-year-old) AmarDev (The Creator) came on board to further develop the project. 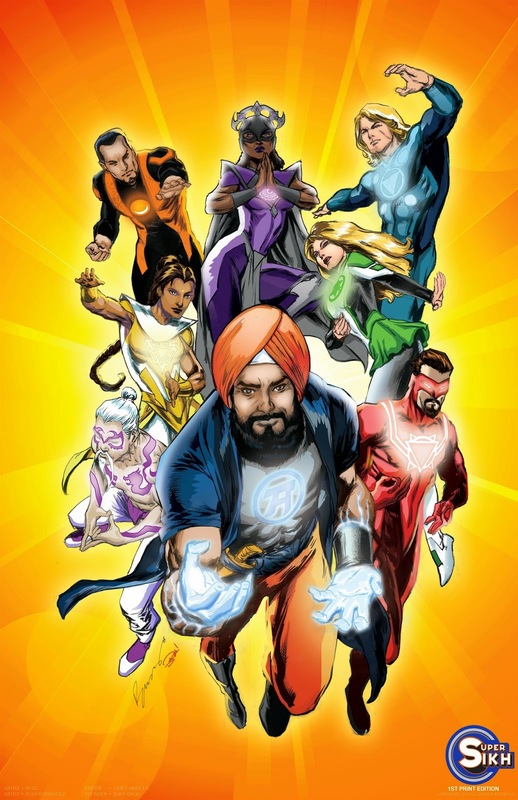 Together they assembled a dedicated, international team of writers, artists, and comic lovers that believe in "SuperSikh." The project has received continued support from the Sikh community in the Chicagoland area, and we want to share it with our international audience as well! They managed to bring award winning writer Jai Nitz and professional artist Buzz on board to complete the anticipated Issue #0! They created this Kickstarter campaign to get YOUR support and feedback! With your help, they will promote Super Sikh comics at conventions and in comic book stores worldwide! Please help and support this amazing project! Any donations help and are accepted!